Western Force flanker Angus Cottrell suffered a sickening ankle injury in his side's 30-7 loss to the Crusaders in Friday night's clash in Christchurch. Cottrell was taken off on a stretcher in the 78th minute after his left ankle twisted awkwardly under the weight of two Crusaders defenders. The injury capped a disappointing night for the Force, who started the round in fourth spot but could slip to as low as ninth by Sunday. The Crusaders rose to second on the back of their seventh win in their past eight games. The Force trailed 16-0 at halftime, but a 49th-minute try to Dane Haylett-Petty gave them a sniff of victory. However, any chance of a boilover was snuffed out in the 71st minute when Force lock Sam Wykes was sin binned. 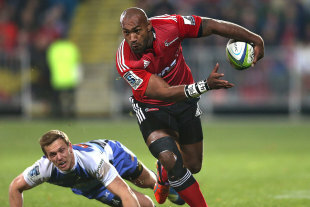 The Crusaders were awarded two penalty tries in the next nine minutes as their rolling mauls proved too hard to stop. The Force entered the match missing almost half of their preferred starting line-up. Their backline was particularly depleted, with Kyle Godwin (knee), Solomoni Rasolea (arm), Alby Mathewson (ankle), Marcel Brache (ankle) and Luke Morahan (hamstring) all set to return after the three-week Test window. Ben McCalman's groin injury robbed the Force of much-need grunt, and they were made to defend grimly for much of the first half as the Crusaders launched wave after wave of attack. In the first 22 minutes, the Force had just 12 per cent territory, but their defence managed to hold firm. 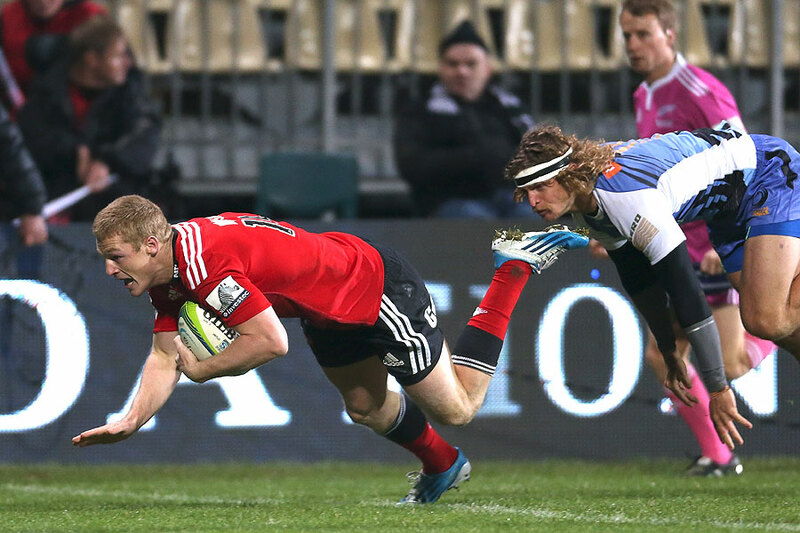 Two penalties from Colin Slade gave the Crusaders a 6-0 lead, and their dominance eventually paid dividends in the 27th minute when Israel Dagg beat two defenders to gift winger Johnny McNicholl a try. McNicholl thought he had bagged his second five minutes later when he touched down in the corner. But the try was disallowed after a review found that prop Tim Perry had illegally taken out Sias Ebersohn in the lead-up. The Crusaders' precise kicking game put the Force under immense pressure, with Slade's third penalty giving the home side a 16-0 lead at half-time. The Force came out firing in the second half, and their dominance was rewarded when Haylett-Petty spun through the Crusaders defence to touch down. However, the Crusaders' dominant rolling mauls proved the difference when the game was on the line. Although the Force are likely to tumble out of the top-six, they are still well placed to secure a maiden finals berth once the Super competition resumes after June's Test window.